Editors Note: There is 1 video and 4 photos associated with this Press Release. 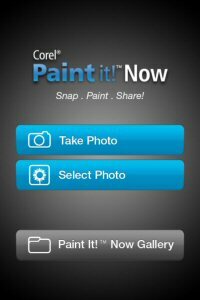 Corel today released Corel® Paint it!™ Now, a free iPhone® photo app that turns your photos into realistic digital paintings for you. 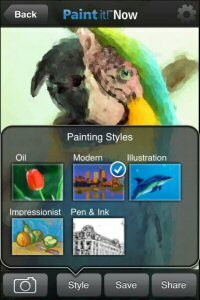 Simply take a picture or select one from your photo album and watch as it is painted, brushstroke by brushstroke. Whether on vacation or just snapping a random moment, this fun photo app will have you sharing painted iPhone masterpieces with just a few taps. 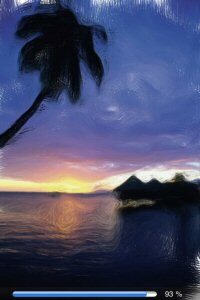 As the first photo-painting slideshow app for the iPad, the newest version of Corel® Paint it!™ Show now supports iOS 4.2, offering faster painting speeds and a built-in progress bar to indicate when a painting is complete. The new version, now available for free, also offers an easy paint-and-share option so you can share your latest masterpiece in seconds. Corel Paint it! Now transforms your iPhone photo collection into a digital art gallery ready to show friends and family. Just take a new picture with your iPhone camera or choose one from your photo album and watch your photo morph into a work of art. Share instantly on Facebook®, Flickr® and by email, or save to your Camera Roll. With 5 different painting effects, Paint it! Now is the easiest way to create realistic photo art on your iPhone. 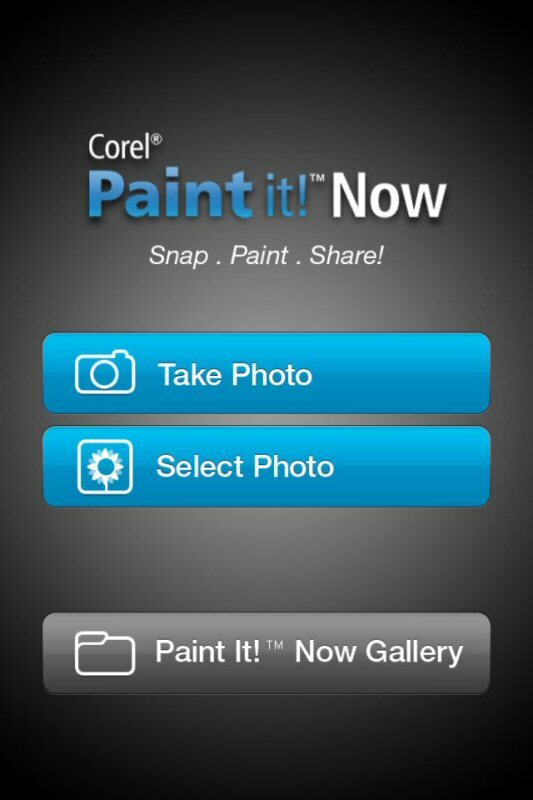 "Following the great response from Corel Paint it! Show for the iPad, we wanted to deliver a similar experience for iPhone users. With several painting effects to choose from, Paint it! Now is an engaging app that creates artistic masterpieces to show off your iPhone photos," said Nick Davies, General Manager of Graphics & Productivity Software at Corel. 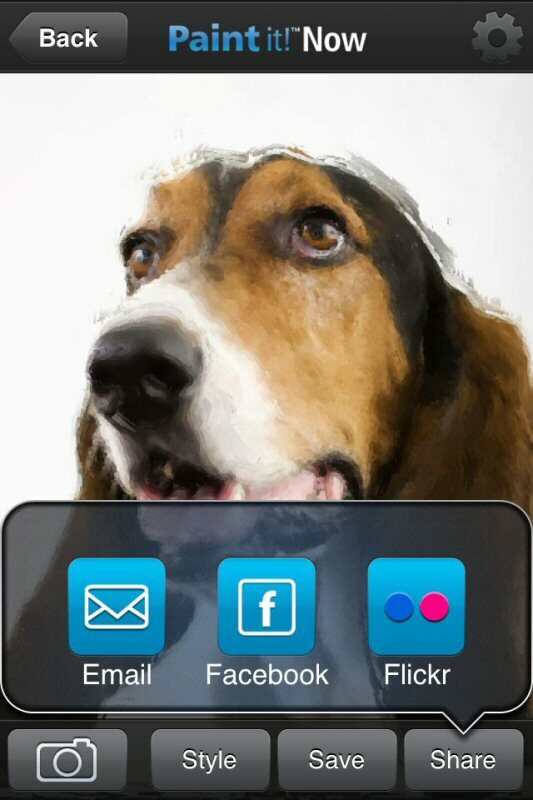 "With a free iPhone app and iPad app, we invite you to get creative and have fun with your photos!" Corel Paint it! Show is a photo painting slideshow app for the iPad, offering a fun way to show your favorite photos from Facebook and the iPad photo library. Watch as Corel Paint it! Show transforms your pictures into a customizable slideshow of painted masterpieces, right before your eyes. Corel Paint it! Now and Corel Paint it! Show are both available as free apps in English throughout various markets worldwide from Apple's App Store. Corel Paint it! Now is available to iPhone 3G, 3GS, 4, and iPod touch 4th generation users running iOS 4 or higher. Corel Paint it! Show is available to iPad users running iOS 3.2 or higher. To learn more about Corel's mobile apps, please visit www.corel.com/mobileapps. To be updated on the latest Corel news, join our Facebook page at www.facebook.com/corel or follow us on Twitter at @corelsoftware. For additional Corel Paint it! Show and Corel Paint it! Now resources including images and videos, please visit www.corel.com/media. Media and bloggers attending CES are invited to stop by the Corel tables at both Pepcom Digital Experience and ShowStoppers CES to play with Corel's new mobile apps. Our award-winning product portfolio includes some of the world's most widely recognized and popular software brands, including CorelDRAW® Graphics Suite, Corel® Painter™, Corel DESIGNER® Technical Suite, Corel® PaintShop Photo® Pro, Corel® VideoStudio®, Corel® WinDVD®, Corel® WordPerfect® Office, WinZip® and Corel® Digital Studio™ 2010. Our global headquarters are in Ottawa, Canada, with major offices in the United States, United Kingdom, Germany, China, Taiwan and Japan. © 2010 Corel Corporation. All rights reserved. Corel, CorelDRAW, Corel DESIGNER, Digital Studio, Paint it!, PaintShop Photo, Painter, Paint it!, VideoStudio, WordPerfect, WinDVD, WinZip and the Corel logo are trademarks or registered trademarks of Corel Corporation and/or its subsidiaries. All other product names and any registered and unregistered trademarks mentioned are used for identification purposes only and remain the exclusive property of their respective owners.